womenforfootball.com- Sorry for the delayed blog post but just like many of you I have been constantly glued to TV to watch all World Cup games, as well as writing World Cup match preview articles for Soccer Without limit. The group stage of the 2014 World Cup has concluded and half of the 32 teams have gone home — including those assembled by the tournament’s three highest paid managers. Meanwhile, the team led by the tournament’s lowest paid manager is not only still in it, but he has arguably become the tournament’s breakout star. Here’s the full list of what every World Cup manager is making this year as compiled by Forbes. After resigning from the England job in 2012, Fabio Capello took up the Russia post and led it to the top of its 2014 World Cup qualifying group — edging out Portugal. At the start of this year, he was given a fat new contract that won’t run out until after Russia hosts the 2018 World Cup. This year alone the five-time Serie A winner (as a manager) and two-time La Liga winner is making $11.2 million, which is nearly double what his England successor, Roy Hodgson, is making ($5.9 million). Though Capello did manage to outdo Hodgson in Brazil — last in the group with two draws and one loss as opposed to last in the group with one loss and two draws — it wasn’t quite the return on investment Russia likely expected. Especially in a manageable group that also included Belgium, Algeria and South Korea. At least the third highest paid manager, Italy’s Cesare Prandelli, offered to resign immediately after his side was eliminated. And he even got a win (against England)! All together, only half of the top 10 best paid managers at this World Cup navigated their teams through to the knockout stage. 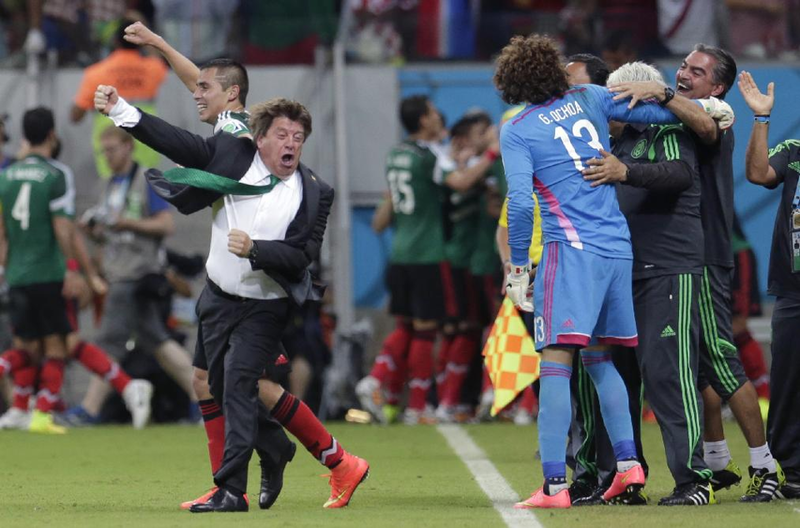 But pulling up the rear of the list is Mexico’s Miguel Herrera, who celebrated his way into the hearts of fans everywhere while leading a once hopeless El Tri through an undefeated group stage for the bargain price of $209,810. Herrera’s situation is a bit different though. He was appointed as an emergency interim manager last October when Mexico was on the verge of completely missing out on qualification. Once that horror was narrowly avoided, he signed on through the end of the World Cup, so his salary isn’t for the full year. It seems likely that the Mexican federation would be willing to give him anything he wants after what he’s done so far, but even if he doesn’t get a pay increase, he can always subsidize his income with his ska lip syncing. Somehow.